I was in Phnom Penh, Cambodia this week and had the opportunity to do some recording with The Mincers. Singer Zoe Zac and her merry punksters recently rolled in from Hobart, Tasmania to play a string of dates in Southeast Asia. 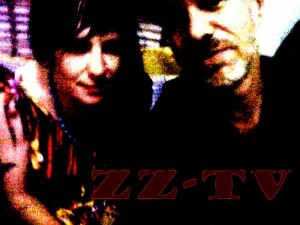 Zoe organized two days studio time with producer Professor Kinski and we recorded two songs, Good Behaviour and Flow Chart under the monicker ZZ-TV. Zoe Zac on vocals and guitar. Melanie Brew on bass. I contributed some guitar and talked myself through one of the tracks. Lots of spontaneous chaos and guitars detuning in the heat. Julien Poulson of The Cambodian Space Project made the introductions. Thanks to all!!! The Mincers are playing several more shows this week including a gig at in the box in Phnom Penh on the 13th and then in Kampot on the 15th and in Sihanoukville on the 16th.